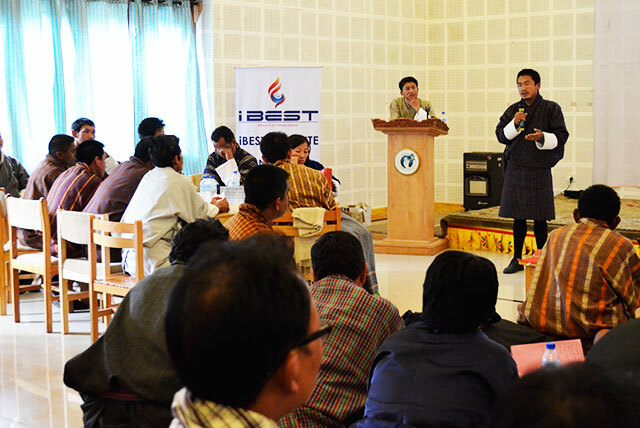 iBEST is an excellence training institution and consulting firm based in Thimphu. Since our humble inception in August 2014, we have trained more than 400 people in various capacities from diverse professional backgrounds and offered our consulting services to about 150 clients. We at iBEST believe that Bhutan is at a turning point, and all our actions today pave the path to our future. Our greatest aspiration is that our work today is meaningful and contributes to our immense success as a nation in the future. Our vision of Bhutan tomorrow, and our deep commitment to nation building guides us in everything we do. With this in mind, we have embarked on a mission to empower our Bhutanese economy, by enabling individuals, organizations and businesses to be the best they can be. 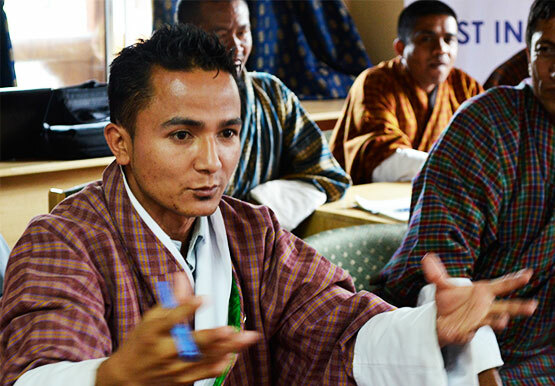 iBEST aims to empower professionals, youth and communities through relevant skills development programs abreast of time and workforce requirement in Bhutan and beyond. We continue to curate the best people in various fields, and have a pool of experts who can cater to all your current and future organization and learning needs. Choosing us means giving yourself an opportunity to avail the services of the best minds in Bhutan and beyond. Our training is not confined within four walls; instead we conduct and create a conducive learning environment, using the right set of tools and approaching learning process with suitable methodologies. We pride ourselves on high standards of professionalism by being ethical and proactive with which we hold ourselves accountable to and conduct our daily operations. We are proud of this reputation that our clients value and talk of us! As a one-stop learning center, iBEST aspires to become an acclaimed training institution that contributes towards meeting the country’s ever changing workforce development need. Our adept trainers and consultants are passionate about training and imparting skills. We care in what we say and what you get for we give it all what we know and are capable of. We believe that through education and skills development we can move individuals and community to a more promising future. Our team members have diverse educational background and they bring along the huge industry experience and insights. People at the iBEST conduct a thorough background research and analysis at our own cost before we partake our clients’ work- be it a training or a consulting work or a simple piece of work for which our clients require our expertise. When we do start, we do it all through end with our heart even at our own cost! Our purpose, values, and principles guide us in all our daily operations and beyond. This calls us to strive for a long term relationship building with our valuable clients. And work towards building a better community empowering individuals whether be it from a private or public or corporate sector through our services that we offer the best. We believe we could contribute towards our communities in our own small ways. We believe that we grow together; your success is our success, and we are deeply committed to providing only the best for you. We are flexible, responsive, and we adapt according to your needs with speed and efficiency. We’re happy to stake our reputation on it! Our high standards of quality are reflected in everything we do, from the smallest tasks to our most ambitious projects. We are excited about all your dreams no matter how big or small, and take all our commitments seriously. If you want to be the best you can be, we are with you to take the journey together!